News from America – Rental companies not providing wheelchair accessible vehicles. In an article for Business Insurance on 4th June 2014, Matt Dunning reveals how American car hire companies Uber Technologies Inc. and Lyft Inc were sued by three wheelchair users for discrimination by not providing people with mobility impairments equal access to hire vehicles, claiming that Uber and Lyft were obligated under Title III of the Americans with Disabilities Act. Car-for-hire companies Uber Technologies Inc. and Lyft Inc. discriminate against the disabled by not providing wheelchair-accessible vehicles, according to a lawsuit filed in federal court. In addition the lawsuit claims that the companies ‘provide no training or guidance’ to drivers regarding their obligations under ADA regulations to accommodate disabled consumers. Additionally, the lawsuit claims that the San Francisco-based companies “provide no training or guidance” to drivers regarding their obligations under ADA regulations to accommodate disabled consumers. Uber did not immediately return requests for comment about the case. The plaintiffs have asked a federal judge to issue a permanent injunction forcing both companies to comply with the relevant ADA regulations. Here in the UK the Disability discrimination Act (DDA) 2005 protects the rights of disabled people and Part 3 of the Act specifically relates to transport. Companies providing hire / rental vehicles must take reasonable steps to remove, alter or avoid a physical feature which prevents a disabled person using a vehicle, or find a reasonable and different way of offering their service. Here at AVH we are fully compliant with the DDA in the wide range of services that we offer for people with disabilities. Our Adapted Vehicle services include; car hire, adaptation fitting, mini-lease, car and driver to car sales. We firmly believe that what ever your disability, here at AVH we have the vehicle or adaptations to allow you the freedom of travel or to simply just get on with your life. 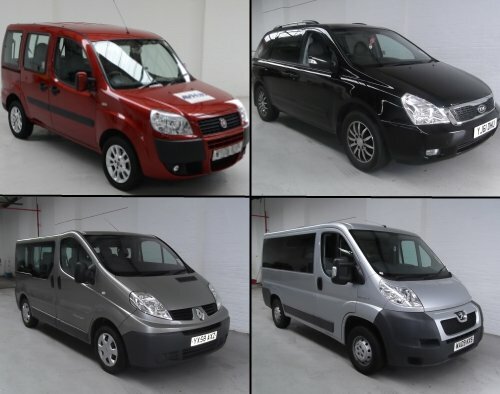 Our vehicles range from small, family and MPV through to fully wheelchair accessible vehicles in a wide range of makes and models. All our vehicles are adapted in our own workshop by our team of dedicated engineers.